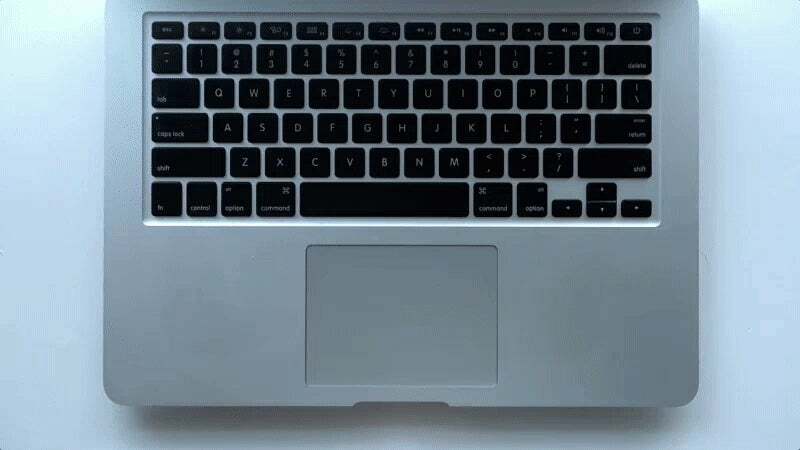 If you own a MacBook, you're likely well aware of how scrolling and right-clicking work on the trackpad, but you may not know how to invoke Quick Look, Notification Center, or Exposè. Whether you're new to macOS or you just never bothered to learn them, these gestures can make your life a little simpler. Click on the below clips to see the gesture in action. You might not use Notification Center often, but it's gotten pretty useful after the updates in Sierra. Now that you can use Siri to save all types of life info, like movie showtimes, sports schedules, and even Finder results, it's nice to know that getting to the Notification Center just takes a two finger swipe. This one's a little tricky to get the hang of though, as you have to swipe from the far right of the track pad for it to work properly. Launchpad is one of those oft-forgotten macOS features, but it's still occasionally useful. If you've forgotten what it even is, Launchpad is simply a way to access all your apps in a grid. If you don't keep an Applications folder on your Dock, Launchpad's a useful way to access all your apps. The Three finger and thumb pinch is a bit awkward to get used to, but once you do you'll be opening up Launchpad with ease. From there, you can customise Launchpad to make it more useful. This one's a bit awkward to actually do, but it's useful. 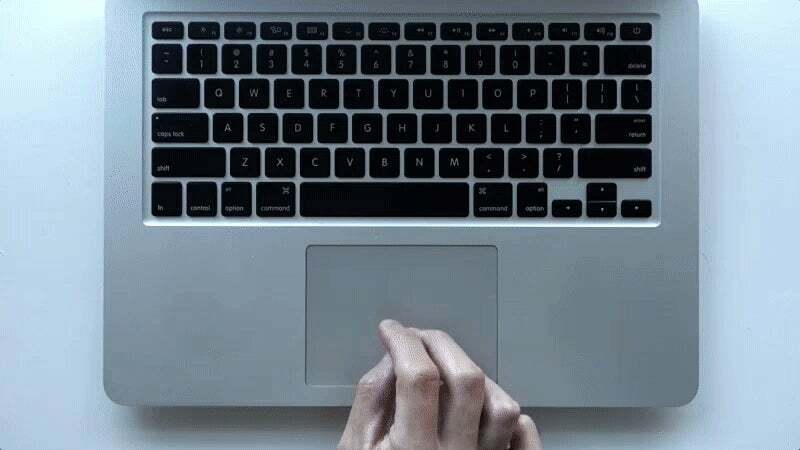 Place your thumb and three fingers on the trackpad, then spread them apart in a reverse pinch, just like as if you're praising a meal, to reveal your desktop. If you store files on your desktop while you're working this is the easiest way to get to them. Since this hides all your open windows, it's also an excellent way to hide what you're doing if someone surprises you. Speaking of oft-forgotten features, Mission Control is one of those that might have escaped your memory. If you swipe up with three fingers (on some models of MacBook it's four fingers), you'll pull up Mission Control, which displays all your open applications and all the your current desktop spaces. This is a crucial feature for working on a smaller laptop screen because it's the easiest way to glance at what apps you have open. While you're in Mission Control, you can click and drag any application to any desktop space in the menu at the top. Need to quickly glance at all the open windows in a particular app? Swipe down with three fingers (on some models of MacBook it's four fingers). This pulls up "Exposè," which makes is super easy to select a window in an app. Using multiple desktop spaces is one of the key ways to keep yourself sane when you're working on a small screen, and this gesture to switch between them makes the process of switching between them easy. 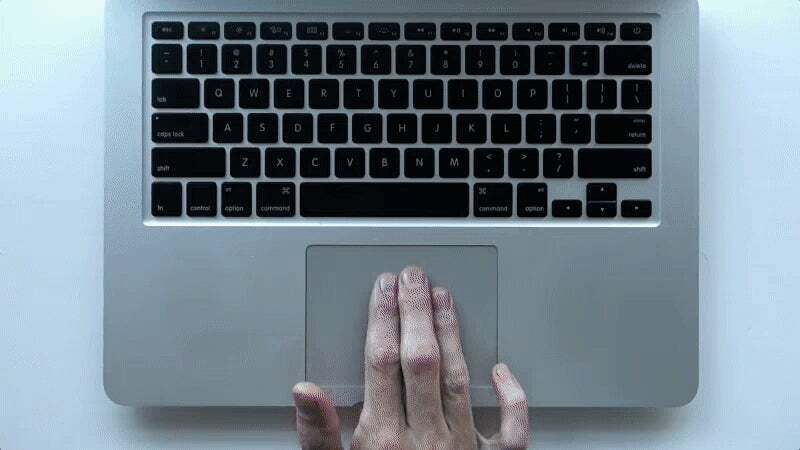 Just lay down three fingers and swipe left or right to swap between your different desktop spaces (on some models of MacBook it's four fingers). If you've never used the Spaces feature before, it's time to start. It essentially creates a new empty desktop in each space, and then you can assign certain apps to certain spaces, which can keep your desktop nice and organised even though you don't have a lot pixels to work with. There's a chance you've invoked this one on accident before, but it's really useful when you get the hang of using it right. Tap a link in Safari with three fingers and you'll get a preview of that web site. Tap any word with three fingers and you'll get the definition of the word. Do the same on any text file or image and you'll bring up Quick Look. It's probably my favourite little gesture in macOS even though it takes a little while to get used to using it. Everyone's pretty used to pinching to zoom in and out on their iPhone, but that gesture works in macOS too. Just do the same pinching gesture you'd do to zoom in on a photo in iOS to zoom in on an image in Preview or zoom in a web site on Safari. This works in a number of third party apps too, including most notably Adobe PhotoShop and the rest of Creative Suite. While it's a bit awkward to do this one, you can use the trackpad to rotate an image in Preview. Just put two fingers on the trackpad and turn them, like you would opening a soda bottle, to rotate an image in that direction. Like Pinch to Zoom, this also works in most versions of PhotoShop and other Creative Suite applications.